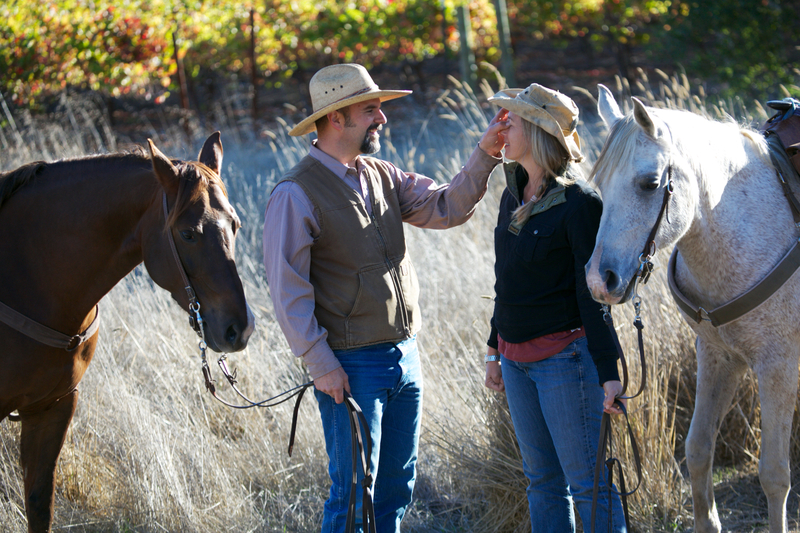 Erin Ellis and Dominic Bettinelli, both Sonoma Valley natives, have been running Triple Creek Horse Outfit since they started the company in 2003. Erin was a longtime wrangler for the horse concession in Jack London State Historic Park when she met and married Dominic, and when the owner of the horseback riding business decided to retire, Erin and Dominic stepped up with their own ideas and improvements. For seven years they operated horseback tours in not only the Glen Ellen park, but in state parks in the Napa Valley and in Kenwood. With California’s budget crisis looming and threatening to close state parks, Erin and Dominic moved their operation to the extensive and beautiful Kunde Estate Family Winery in 2011. After two years of giving horseback tours there, the opportunity arose to return to Triple Creek’s roots, at Jack London State Historic Park, and Erin and Dominic seized the chance. 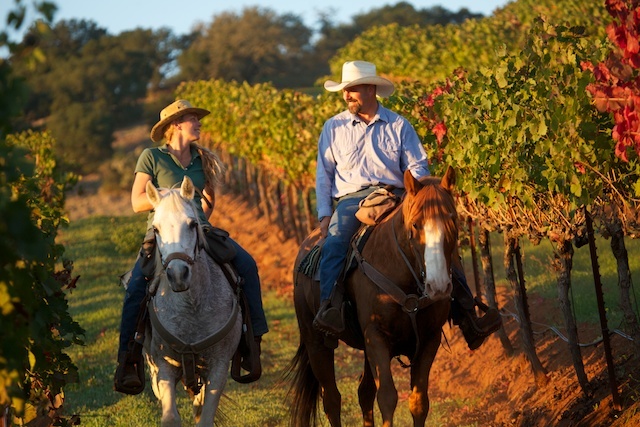 Jack London’s ranch not only has rich history and scenic beauty, the variety in the trails—alongside world-class vineyards, among towering redwoods, through golden meadows and bubbling creeks—makes it absolutely the best place to ride a horse we know of anywhere. They hope you’ll join them for a ride soon.